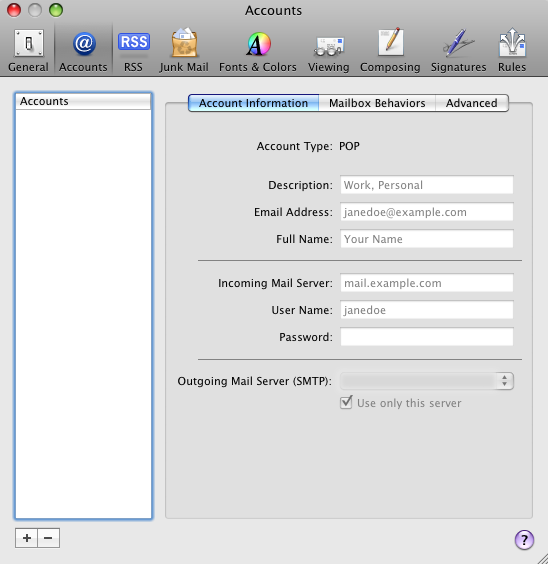 2.Select the ‘Accounts’ icon and then hit the plus sign (+) on the bottom left hand corner to create a new account. 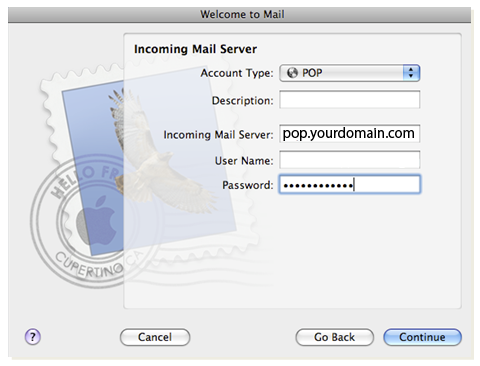 Input your username and password associated with the POP3 account. 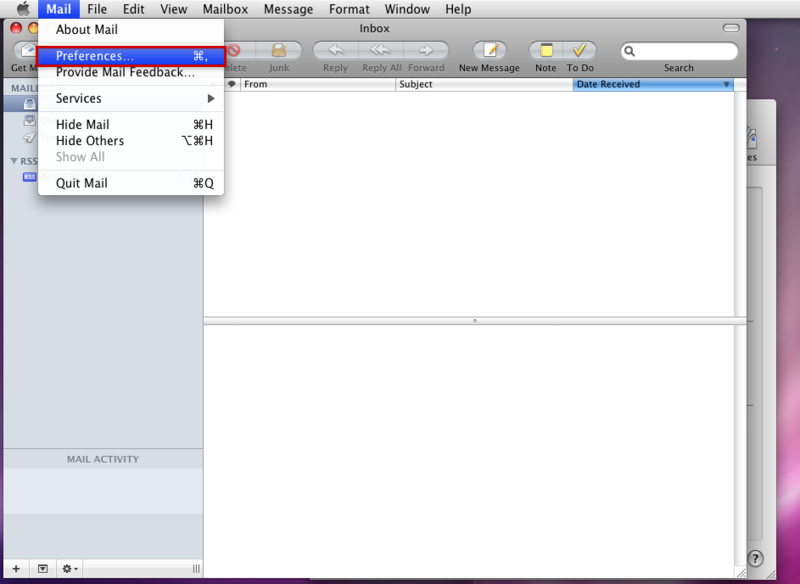 type in a description of your choosing. 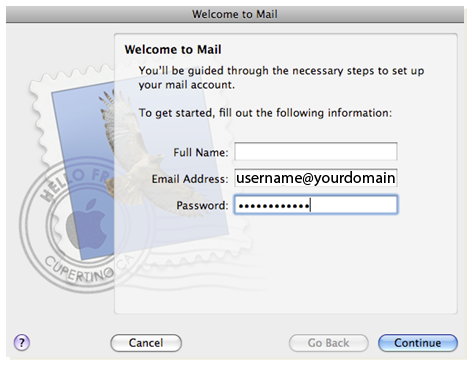 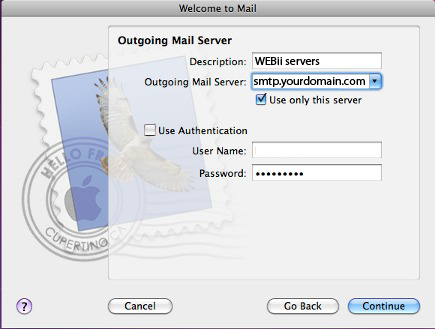 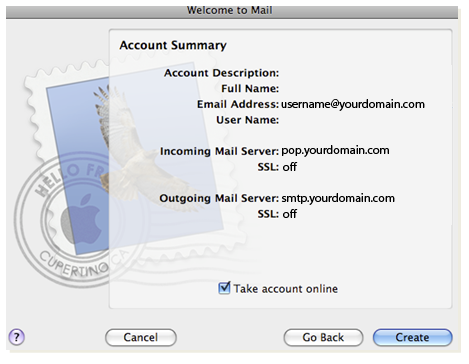 Your Mac Mail account is now set to send and receive email.